Please RSVP for Our Employee Reunion! The suspense is killing us as we continue to prepare for our great big, exciting reunion for past and present employees at Bridal Cave! We are getting ready to celebrate our 70th year in business and what better way to celebrate than by getting the entire gang back together as we celebrate our 70th year in business at our Lake of the Ozarks family attraction! If it wasn't for our great past and present employees, Bridal Cave and Thunder Mountain Park would not be the success it is today! You won't want to miss this once in a lifetime event! PLEASE RSVP! We are now less than 3 weeks away from our 70th-anniversary employee reunion on April 14th. We have already heard from lots of you past employees, but we still need you to RSVP if you haven’t already. Just call 573-346-2676 to make your reservation. We need to know just how many people are coming in order to get the necessary supplies. We want this event to be one for the books! We can't wait to see everyone! Remodel Complete and New Merchandise in the Shop! Thanks to the hard work of many local businesses here at the lake, our remodel is finally complete! Our family attraction at the Lake of the Ozarks has been freshened up with new windows and doors, new carpet, new paint inside and out, and improved visitor wifi! Not only has our visitor center's appearance changed, but we have some brand new merchandise to display! We love when we get new items to display in our beautiful rock shop at the Lake of the Ozarks. Take a look at some of the new items we have this year! New Styles of Himalayan Salt Lamps We still have the popular rough cut lamps at the best prices but we have added salt cones, salt roses, and fire bowls. These 250 million-year-old lamps emit negative ions that cleanse and purify the air. These unique lamps provide a beautiful glow and create a calm relaxing atmosphere. These salt lamps are made of the best salt from Pakistan. Reserve Your Spot for Our 70th Anniversary Employee Reunion! Bridal Cave and Thunder Mountain Park is getting excited to celebrate our 70th year in business! 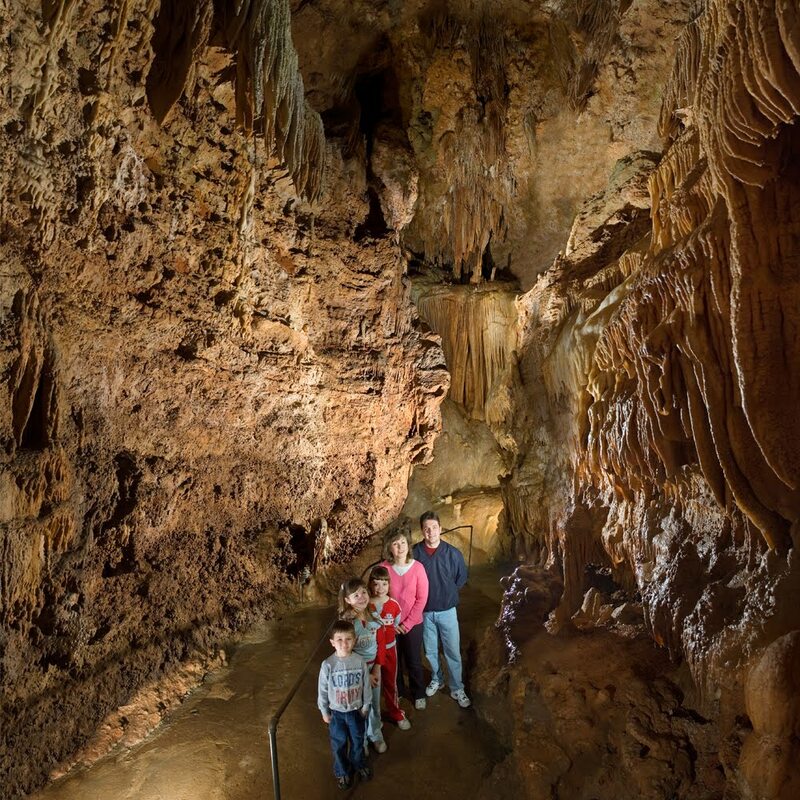 All those years ago when we opened for business we had no idea millions of people would get to see Bridal Cave, now one of Americas most scenic cave tours! Our past and present employees have helped Bridal Cave grow tremendously and become the longest continuously operating family attraction at the Lake of the Ozarks! As many of you already know, Bridal Cave will be hosting an Employee Reunion to celebrate our 70th year in business! Camdenton Missouri Voted Top Travel Destination! Small towns and cities in America are one of the many things Americans love about this country. They allow many of us to take a break and relax from the hustle and bustle of large cities. Sightseeing, family attractions, family owned business, and small-town charm are just a few reasons that small towns are loved by many! That's why Expedia, one of the top travel websites, put together a list of Americans favorite destinations to visit. They polled 1,000 people to determine their favorite small and medium sized towns to visit in the US. The most frequently mentioned cities were put on list and Camdenton, Mo made the cut! Even better, our Lake of the Ozarks scenic attraction was mentioned in the article!